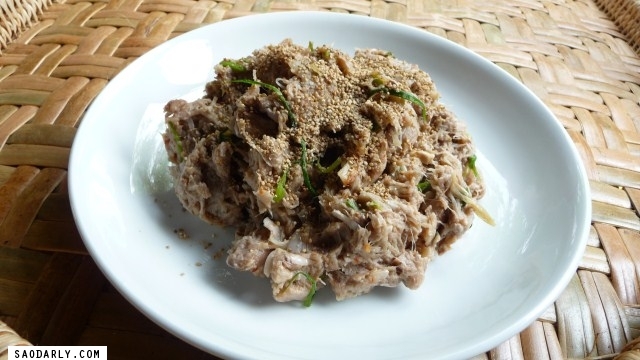 Soup Mak Mi (Warm Young Jackfruit salad) made by my Aunt in Vientiane, Laos using cooked young green jackfruit. When I was living in Laos, we had a couple of jackfruit trees in our garden and my mother often made soup and salad from the unripe young jackfruit. I have never eaten this dish outside of Laos. Even though I can purchase cans of green jackfruit in brine at any Asian grocery, I don’t want to be disappointed when it doesn’t taste nearly as good as in Laos. 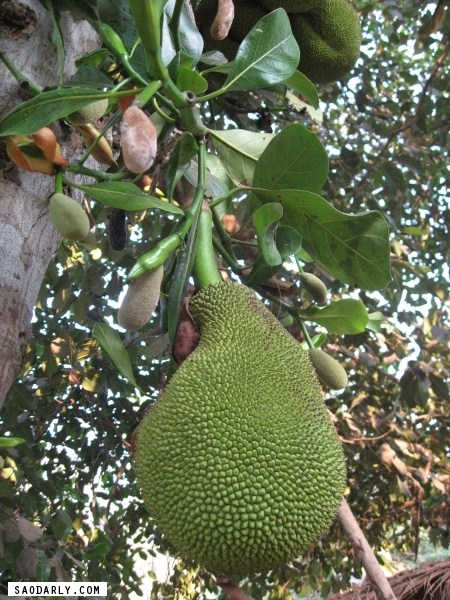 I can always look forward to picking a young jackfruit from a tree at a family garden in Tha Ngnon.